Speeler Foundations is dedicated to providing foundation security and preservation to your home through a wide variety of services that address your structures’ particular needs. Our success of properly reinforced and strengthened structures is built from 30 years of experience. Our experience and professional engineering support coupled with the best products in the industry are what enable us to assess the solutions that will best protect your home and your family at an affordable cost. We believe that clear communication with our clients is vital to a successful project and a continuing business. When discussing your structural problems we will ask lots of questions and listen carefully. In return, you will get straight forward advice and information and services tailored directly to your needs. Underpinning issues can often take place beneath buildings both old and new. The course of time may cause structures to shift and, more often than not, the poor quality of the ground beneath the building is the reason. Underpinning techniques are the solution. Our experience with underpinning solutions enables us to solve more complicated foundation problems. When project ground conditions are so poor that traditional underpinning is not possible we have the underpinning technique to meet this challenge. Our team of seasoned experts use the industries best products combined with professional engineering to stabilize defective foundations and structures. Speeler Foundations’s underpinning specialists have the knowledge and equipment to provide the best solutions for the most challenging underpinning projects. Feel free to ask our team of professionals for advice and more in-depth information regarding the underpinning options available and find the one that best suits your project. Speeler Foundations has the knowledge and experience in all types of helical pier and helical pile applications and materials. We are committed to exceeding the expectations of our clients by achieving the highest quality with cost efficiency. A helical anchor/pile is a segmented deep foundation system with helical bearing plates welded to a central steel shaft. Load is transferred from the shaft to the soil through these bearing plates. Central steel shafts are available in either Type SS (Square Shaft) series or Type RS (Round Shaft) series. The Type SS series are available in 1-1/4″ to 2-1/4″ square sizes. The Type RS series are available in 2-7/8″ to 4-1/2″ diameter sizes. Type SS-RS combinations are also available for compression applications in soil conditions where dense/hard soils must be penetrated with softer/loose soils above the bearing strata. The Helical Pulldown® Micropile series is also used in applications similar to those requiring the use of the Type SS-RS combinations. 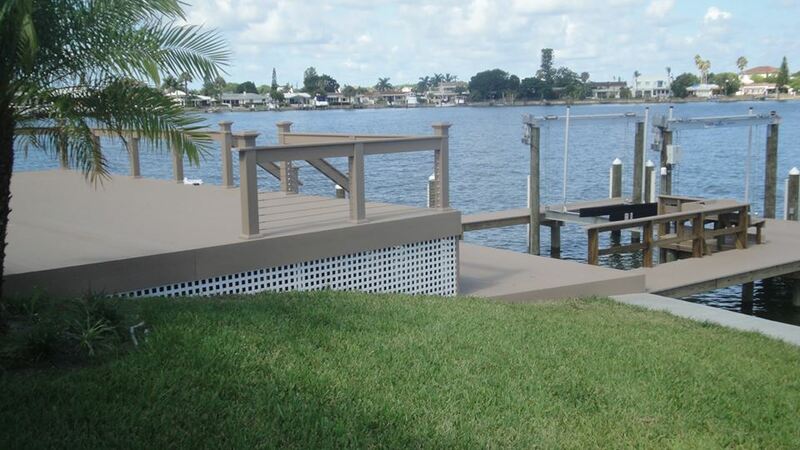 Speeler Foundations utilizes state of the art technology and materials to design and build beautiful and useful decks. 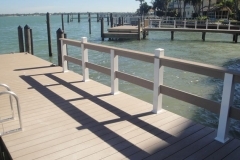 Ask your Speeler Foundations representative about seamlessly connecting a customized deck to your new dock. 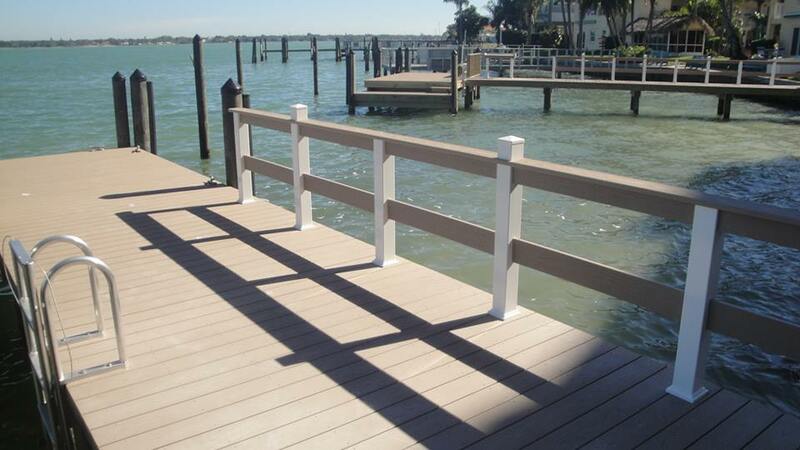 Today’s engineered and composite lumber assures your dock or deck will last long into the future. Speeler Foundations designers make sure you get the best and most efficient use of your waterway. The value of your waterfront home is dependent on your dock’s usefulness and convenience. 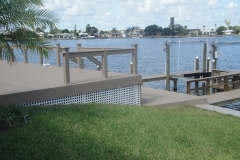 Speeler Foundations can help you get more enjoyment from your waterfront property. We will design a dock that best suits your needs, while at the same time complying with all municipal, county, and state regulations. 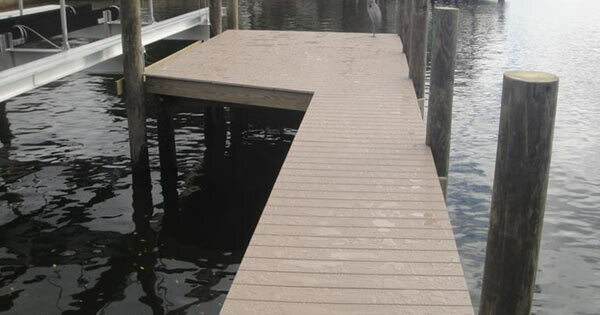 Whether you need a new dock built or repairs to your existing dock, give us a call. We’ll be happy to meet with you and assess your needs. Today’s engineered lumber assures your dock will last long into the future. Speeler Foundations knows how to build durable and attractive boat docks that use the best brands of engineered, composite, and pressure-treated lumber to create eye-catching and long-lasting docks that are designed to meet the standards of the US Green Building Council. Want to keep your boat out of the water? 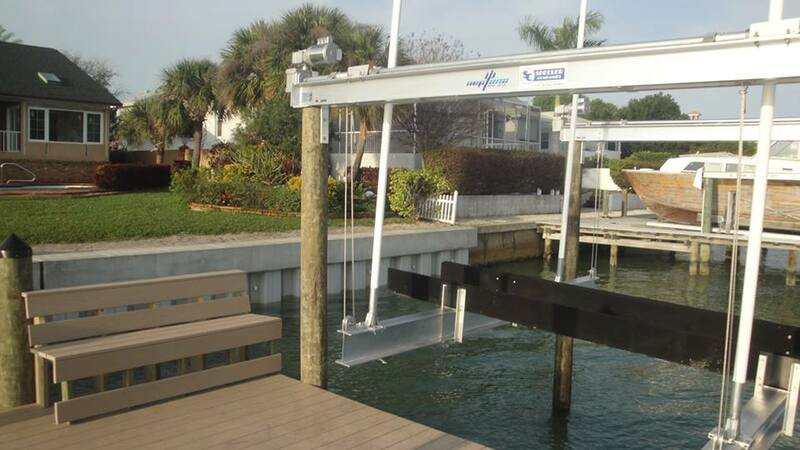 Speeler Foundations can install a boat lift to moor your boat at your dock. 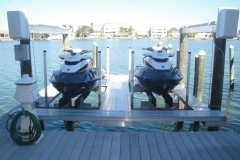 Whether you have a kayak or a yacht, Speeler Foundations has the quality boat lift solution to keep your vessel safe and secure at the best price. 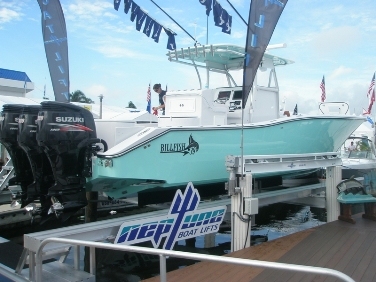 Tell us what kind of boat you have, and we will determine the best size lift to accommodate your boat. • Vertical Boat Lifts for vessels up to 300,000 lbs. • Personal Water Craft Lifts up to 3,500 lbs. 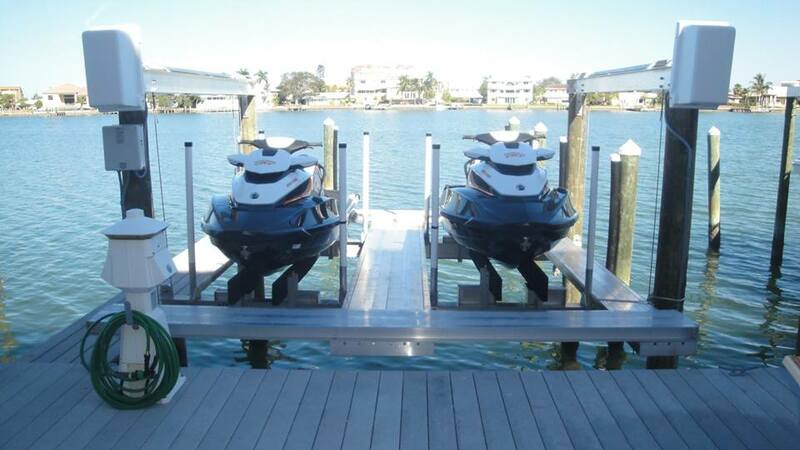 Heavy duty and dependable boat lifts make the launching and storage of your boat safer and more convenient. 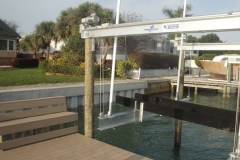 We offer all types and styles of boat lifts, elevator lifts and davits. Speeler’s designers utilize their experience, their engineering know-how, and the latest technology in seawall design to create a long-lasting seawall, bulkhead, or retaining wall. Whether you are looking for a seawall made of interlocking vinyl panels, wood timbers, or stone riprap, Speeler does it all – and does it better than anyone. We have the experience and knowledge of seawall design and construction to assist you with all phases of your bulkhead or seawall project, in terms of erosion control. Speeler Foundations has the expertise and infrastructure to service waterfront projects large and small. From residential waterfront properties to marinas and commercial facilities, Speeler Foundations is prepared to meet all of your shoreline protection needs. A very effective and efficient form of erosion control is rip rap, a series of strategically placed boulders to form a natural barrier. Also known rubble, shot rock or “Rip-rap,” this time-tested practice is used to protect shorelines, streambeds, bridge abutments, pilings and other shoreline structures against erosion. Commonly made with granite or limestone, and occasionally concrete rubble from building and paving demolition, rip rap is a good re-use of sustainable materials. Riprap works by absorbing and deflecting the energy of waves before they reach the defended structure. The size and mass of the riprap material absorbs the impact energy of waves, while the gaps between the rocks trap and slow the flow of water, lessening its ability to erode soil or structures on the coast. 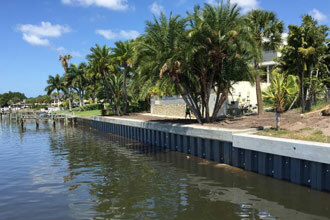 Speeler Foundations has been providing affordable rip rap seawall design and construction for many years. Depending on the current condition of your existing seawall, maintenance or repair may be the best option. In many cases, seawall replacement may not fit the budget, and alternative methods of stabilization are performed. Speeler Foundations offers many alternative techniques for stabilizing existing seawalls such as CHANCE helical tiebacks, replacement of cap and anchors, and the installation of beam and anchor systems. We use the most trusted and time-tested stabilization methods in order to prolong the safety and life of your seawall structure.